Plus! 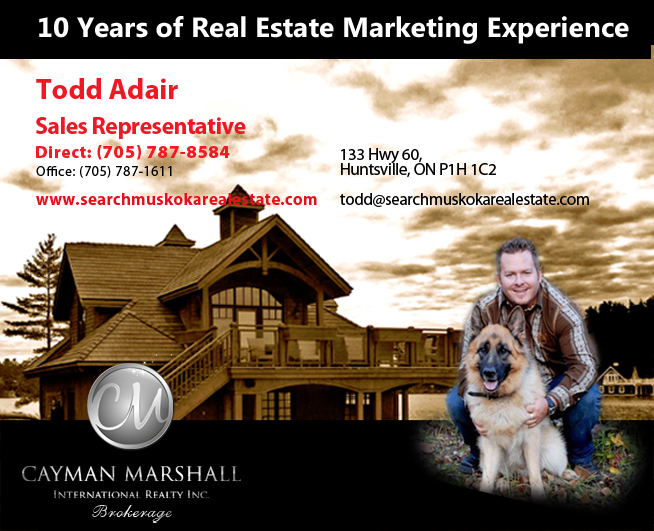 You will receive our "15 Secrets To Maximize Sales Results in Muskoka!" program that covers the critical aspects of preparing your waterfront property(inside and out) for maximum appeal and buyer acceptance! Be assured that this information will be kept strictly confidential and you will not be contacted other than requested by you. Being a local realtor, I would be more than happy to give you your home evaluation free of charge. I promise it will be stress free, easy will include comparables for your own research. Please note that this process will most likely require me to pay a visit to your property.